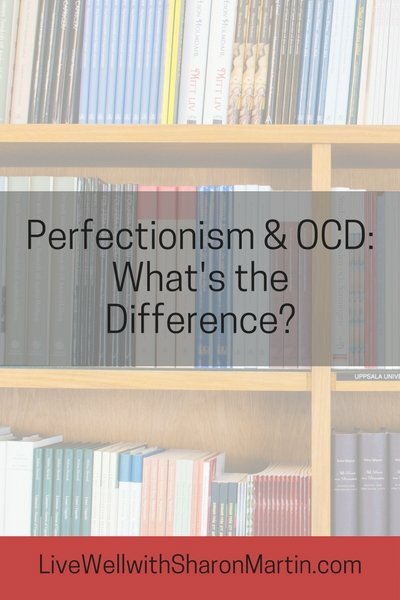 I'm often asked what the difference is between perfectionism and OCD (Obsessive Compulsive Disorder). It’s actually a fairly complex question and one that realistically this article will only be able to address on the surface. This article isn’t meant to diagnose any mental conditions and isn’t an exhaustive study of OCD or any other mental health problem. If you are concerned that you may have a mental health problem, please consult your physician or a qualified mental health provider in your area. Obsessive Compulsive Disorder (OCD) is a mental disorder characterized by recurring and unwanted thoughts or images (obsessions) and/or repetitive behaviors (compulsions). For example, an obsession is repeated thoughts and worries about germs. And an associated compulsion is frequent hand washing and cleaning. Obsessions create anxiety and an urgent need to do the compulsive behaviors. Those with OCD feel they must repetitively perform these compulsive behaviors or something bad will happen. The compulsions may temporarily relieve the anxiety, but it’s short-lived leaving one in a cycle of obsessions and compulsions. OCD can cause so much distress and consume so much time that it disables people from living full and productive lives. Sometimes we all worry that we left the door unlocked and need to double check. OCD is more extreme. Someone with OCD might have obsessive thoughts that someone will break into her house and have a ritual of checking the lock five times before she can leave the house. In order to meet the criteria for OCD, the obsessions and compulsions must interfere with one's life, take up at least an hour of time daily, and be uncontrollable. Wanting things symmetrical and exact is a fairly common in OCD. Someone with OCD might compulsively organize, arrange, or match things. The objective is less about perfectionism than it is about repetitive behaviors done compulsively in an effort to reduce the obsessive, intrusive thoughts. The term perfectionism encompasses a broad scope of characteristics. It isn’t a diagnosable mental disorder. As such, it’s used loosely and without any real clinical criteria. People with perfectionist traits tend to have extremely high standards for themselves and others. They are goal driven, workaholics, with exacting standards. Perfectionists crave order and predictability. They want things to be “just right” or they feel anxious. They are often highly stressed and feel anxious and tense. Perfectionists can get hung up on the details, wasting time perfecting, practicing, and redoing work in a compulsive fashion. A perfectionist might revise and rewrite an email to her boss several times before sending it. She might be washing and putting away the dishes (the "correct" way) while the rest of the family is enjoying watching a movie. Or she might frequently work late reworking the details of a business proposal, afraid of making a mistake and looking like a fool in front of her colleagues. People with perfectionist traits can also be demanding and critical of others. They expect perfection from others as well as from themselves. Those close to them often feel like they can’t do anything right. Perfectionism is driven by fears of displeasing others, being rejected, and criticized, and ultimately not feeling good enough. 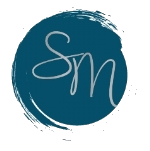 They seek validation through achieving goals and accolades. Some people with OCD identify as perfectionist as they have obsessions and compulsions about order and neatness, struggle to adjust to anything new, and feel tense and anxious. However, in my experience most people who identify as perfectionists do not meet the diagnostic criteria for OCD. To complicate matters further, I’m going to suggest another possibility. Perfectionism probably has more in common with Obsessive Compulsive Personality Disorder than with OCD. Obsessive Compulsive Personality Disorder (OCPD) isn’t as widely known as OCD. And while the names of the disorders sound similar, they are actually quite different. OCPD is like extreme perfectionism with some additional symptoms and clinical criteria. Personality disorders are another category of mental disorder. They’re long-standing and exist in multiple areas of life (at home, school, work, social situations). Personality disorders are characterized by ingrained behavior and thought patterns that don’t change over time or situations. According to the Diagnostic and Statistical Manual of Mental Disorders, OCPD is a “pervasive pattern of preoccupation with orderliness, perfectionism, and mental and interpersonal control, at the expense of flexibility, openness, and efficiency, beginning by early adulthood…”[i] They fixate on order, details, lists, schedules, and rules to the extent that they miss the actual point of an activity . They’re rigid in areas of morals and values. They also have difficulty expressing affection and parting with money or possessions. People with OCPD generally don’t see their perfectionism and rigidity as a problem. They see them as necessary and logical. Their perfectionism and difficulty delegating tends to impair their ability to complete tasks or projects. People with OCPD also have trouble relaxing and enjoying activities. Their anger and stubbornness often causes relationship problems. If you’re a fan of the TV show The Big Bang Theory, the character of Sheldon Cooper may have come to mind as you read the description of OCPD. He seems to have a number of OCPD traits that make perfect sense to him, but annoy his friends because he's so rigid. Perfectionism is a component of OCPD. It can also be a component of OCD. However, both disorders encompass a variety of other symptoms and diagnostic criteria. It can be tempting to self-diagnose (or diagnose your friends and family members), but I encourage you to be assessed by a licensed mental health professional if you wonder whether you meet the criteria for either OCD or OCPD. [i] American Psychiatric Association, Diagnostic and Statistical Manual of Mental Disorders, Fifth Edition. Washington, DC: American Psychiatric Publishing, 2013. Page 678.